Levon Der Bedrossian, David Wright and Ellen Sinaiko opened La Méditeranée Noe in 1981, following the success of La Méditeranée on Fillmore street, which opened in 1979. 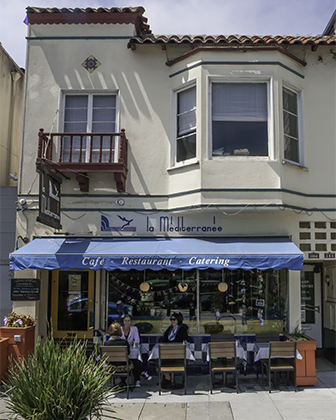 Situated in the Heart of the Castro, the three partners opened Noe with the goal of serving good food in a pleasant environment, with warm and friendly service. Now celebrating more than 35 years in the Bay area, La Méditeranée continues to meet that commitment and we are proud to be part of the San Francisco community.